We are counted amongst the top companies involved in offering a wide range of flat weave rugs. These are made using fine quality material which we sourced from the trustworthy vendors of the market. Additionally, we also assure safe and timely delivery of our products. In flat weave is made of different yarn. We are making flat weave by jute,wool, cotton, bamboo, viscose, chocho, polyester. We can make any design any size any color. 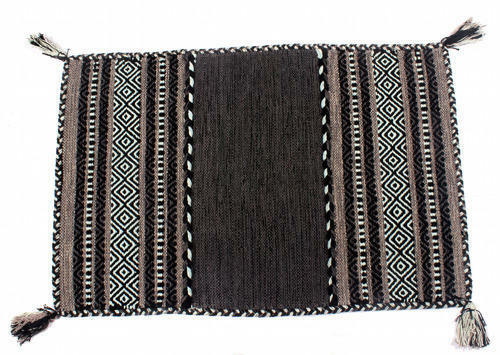 united overseas is universally known for manufacturing and exporting the Flat weave rugs made of finer cotton fibers, wool yarn, pet yarn These flat weave rugs are contemporary in designs and patterns due to maximum graded fabrics and raw materials used. Our fabrics and raw materials are served to us by the reliable vendors and that is what makes the rug look so pure and natural. 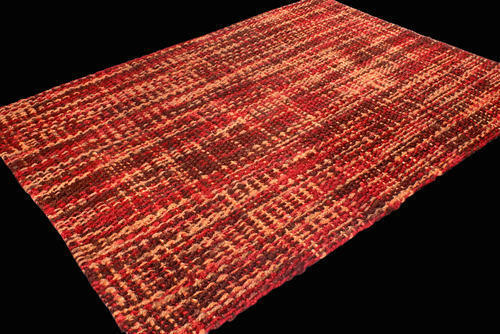 We are highly acclaimed in the market because of such flat weave rug. Our flat weave rugs r production highlights some part of traditional designs those which are popular even now to give perfect matches to any home interiors. cotton is said to be one of the strongest fabrics in making innovated designs and patterns. So it is always recommended to for cotton material rug for easy living and comfortable lifestyle. 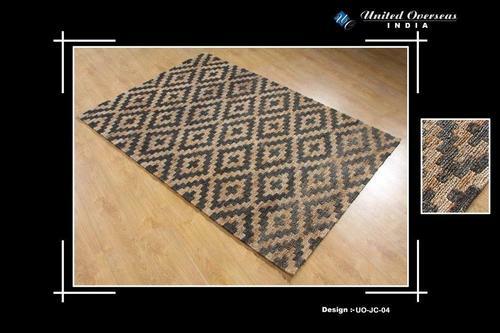 united overseas is universally known for manufacturing and exporting the Flat weave rugs made of finer wool ,cotton fibers. 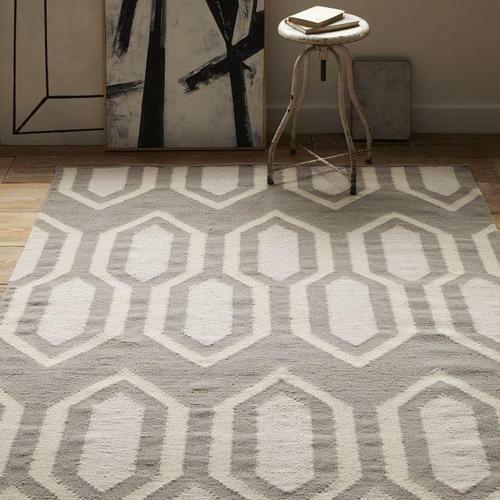 These flat weave rugs are contemporary in designs and patterns due to maximum graded fabrics and raw materials used. Our fabrics and raw materials are served to us by the reliable vendors and that is what makes the rug look so pure and natural. 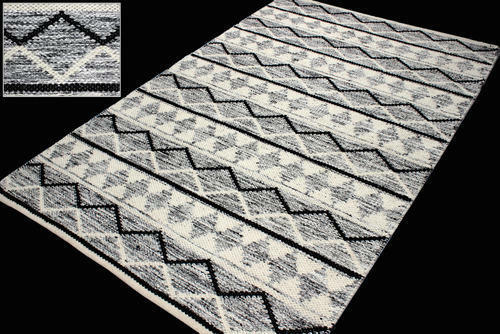 We are highly acclaimed in the market because of such flat weave cotton rug. Our flat weave rugs r production highlights some part of traditional designs those which are popular even now to give perfect matches to any home interiors. wool and cotton is said to be one of the strongest fabrics in making innovated designs and patterns. So it is always recommended to for cotton and wool material rug for easy living and comfortable lifestyle. 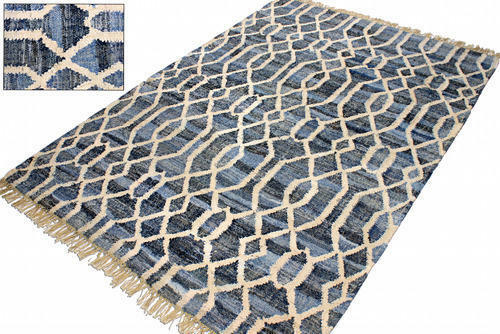 united overseas is universally known for manufacturing and exporting the Flat weave cotton rugs made of finer cotton fibers, wool yarn, pet yarn These flat weave rugs are contemporary in designs and patterns due to maximum graded fabrics and raw materials used. Our fabrics and raw materials are served to us by the reliable vendors and that is what makes the rug look so pure and natural. We are highly acclaimed in the market because of such flat weave rug. united overseas is universally known for manufacturing and exporting the Flat weave cotton rugs made of finer ,cotton fibers. 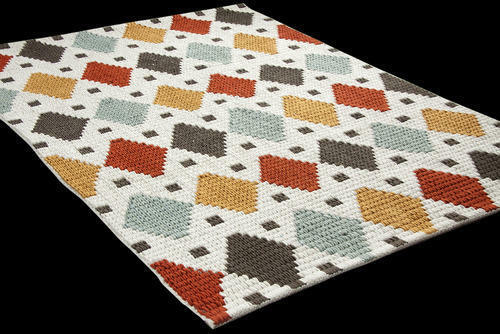 These flat weave rugs are contemporary in designs and patterns due to maximum graded fabrics and raw materials used. Our fabrics and raw materials are served to us by the reliable vendors and that is what makes the rug look so pure and natural. 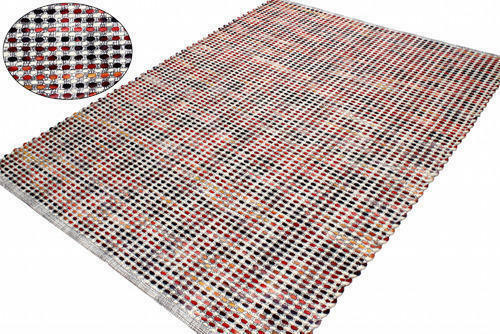 We are highly acclaimed in the market because of such flat weave cotton rug. We design these carpets in such a way that it automatically enhances the surroundings of the homes. We produce numerous varieties of Jute chindi flat weave rug for generating perfection inside homes. This perfection in the long has made our name spreaded among clients and customers widely. At the same time our flat weaved chindi rug are also durable and have the complete texture and finishing often demanded by people. Our flat weave JUTE chindi rug production highlights some part of traditional designs those which are popular even now to give perfect matches to any home interiors. chindi is said to be one of the strongest fabrics in making innovated designs and patterns. So it is always recommended to for chindi material rugs for easy living and comfortable lifestyle. 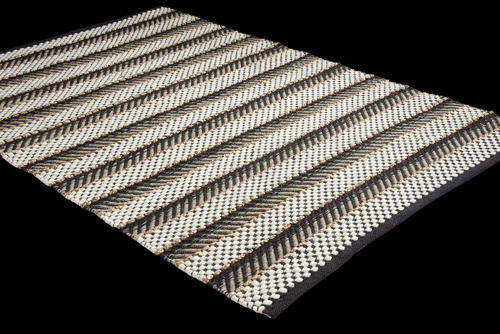 united overseas is universally known for manufacturing and exporting the Flat weave outdoor rugs made of finer pet fiber. 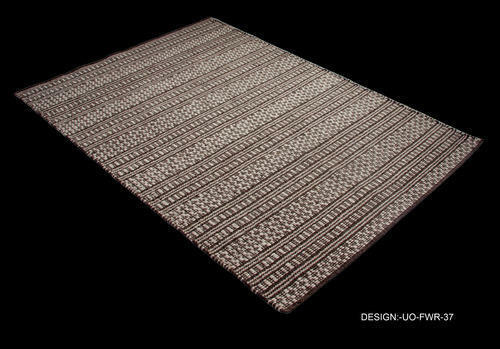 These flat weave out door rugs are contemporary in designs and patterns due to maximum graded fabrics and raw materials used. Our fabrics and raw materials are served to us by the reliable vendors and that is what makes the rug look so pure and natural. 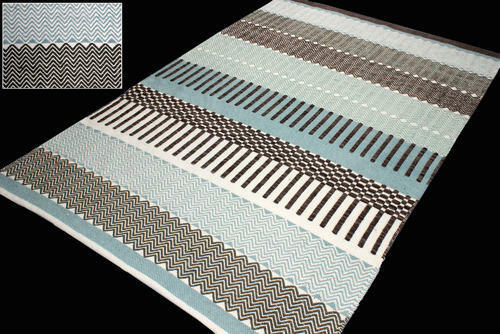 We are highly acclaimed in the market because of such flat weave out door pet rug. 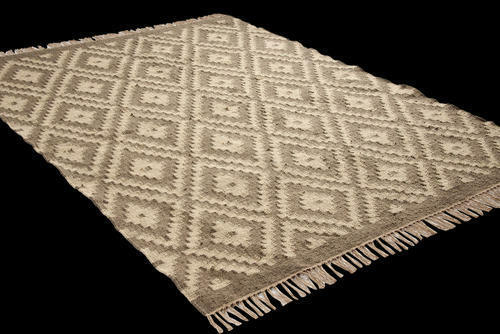 Our flat weave rugs r production highlights some part of traditional designs those which are popular even now to give perfect matches to any home interiors. pet yarn is said to be one of the strongest fabrics in making innovated designs and patterns. So it is always recommended to for pet material rug for easy living and comfortable lifestyle. UNITED OVERSEAS is universally known for manufacturing and exporting the Flatweave Durriesmade of finer jute fibers. These flat weave jute chindi carpets are contemporary in designs and patterns due to maximum graded fabrIC and raw materials used. Our fabrics and raw materials are served to us by the reliable vendors and that is what makes the carpets look so pure and natural. 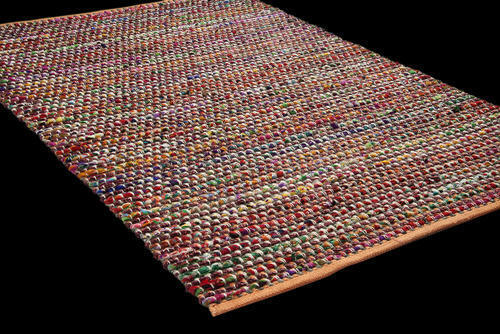 We are highly acclaimed in the market because of such flat weave Jute chindi carpets. We design these carpets in such a way that it automatically enhances the surroundings of the homes. We produce numerous varieties of Jute flat weave carpets for generating perfection inside homes. This perfection in the long run has made our name spreaded among clients and customers widely. At the same time our flat weaved jute carpets are also durable and have the complete texture and finishing often demanded by people. Our flat weave jute carpets production highlights some part of traditional designs those which are popular even now to give perfect matches to any home interiors. Jute is said to be one of the strongest fabrics in making innovated designs and patterns. So it is always recommended to for jute material carpets for easy living and comfortable lifestyle. 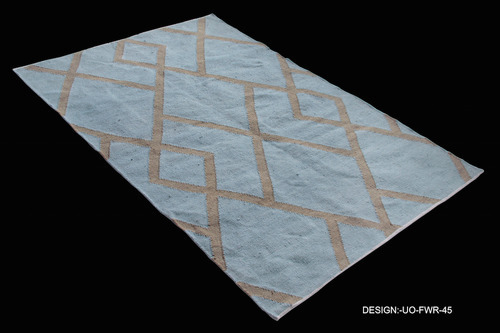 A unique blend of wool and viscose are utilized in these rugs. A flat weave of wool is blended into the viscose for added textual appeal. Neutral geometrics take the stage in a variety of patterns. United overseas widely known for its premium exporting and manufacturing of carpets widely and has diversified type carpets for people to choose from depending on their requirements. There is 100% good quality wool present in it to give a good shine in the whole carpet. Each woolen yarns are individually woven by hand to bring the most enhancing designs and appearances. Our carpets produced are of varying sizes and heavy in weight, has the ability to cover the major portions inside the house. FLAT WEAVE wool RUGS are made by the skilled artisans who are knowledgeable and make the carpets from the New Zealand’s finely blended wool. Due to its good backing materials the overall carpet’s weight can be well handled and is also known to be anti-skid. Colors are diverse depending on people’s selections while purchasing our hand woven wool FLAT WEAVE ,loop AND cut carpets. 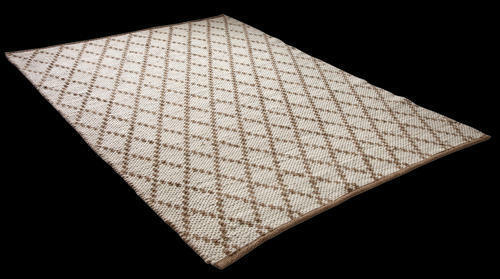 Flat weave wool rug is made in natural undyed wool yarns. Contrasting colours are created by utilizing the natural wool color of the sheep. 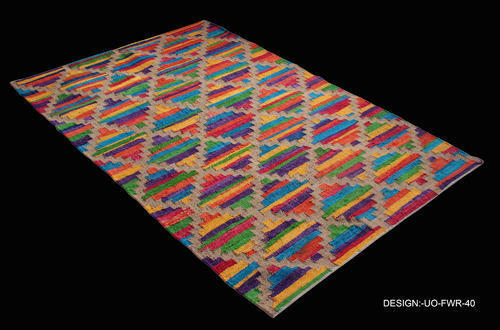 The rugs are reversible making them versatile as well as wonderfully soft and comfortable. united overseas is universally known for manufacturing and exporting the Flat weave cotton chindi rugs made of finer ,cotton fibers. 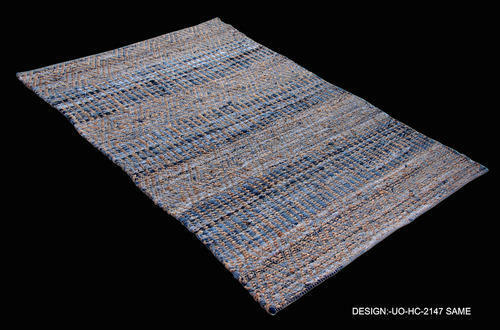 These flat weave rugs are contemporary in designs and patterns due to maximum graded fabrics and raw materials used. 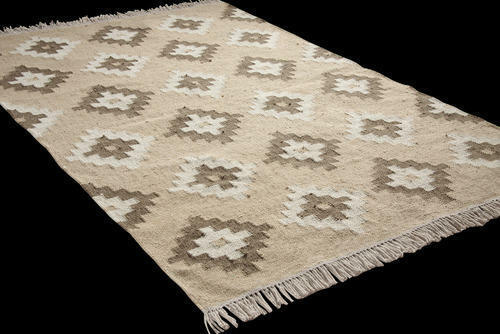 Our fabrics and raw materials are served to us by the reliable vendors and that is what makes the rug look so pure and natural. 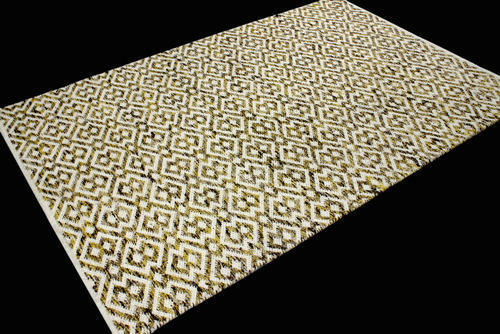 We are highly acclaimed in the market because of such flat weave cotton rug. To furnish the diverse requirements of our clients in the best possible manner we are involved in offering an extensive range of FLAT WEAVE Jute DENIM chindi Rugs. These are easy to clean and are available in different designs. Our quality inspectors check them on various parameters before they are dispatched. Furthermore, these are available in market at pocket friendly prices. our jute chindi Area Rug is expertly made from hand-woven jute fibers and cotton chindi .will lend a sense of casual elegance and a touch of plush comfort to your space. Available in multiple rich colors, these rugs are known for their durability and will stand up to even the highest traffic areas in your home. Hand-woven jute fiber construction for years of comfortable durability. Transitional design suits most home decor styles. Our Jute diamond Rug's classic herringbone stripes add subtle sophistication to the floor in durable, soft-to-the-touch jute—a highly sustainable, rapidly renewable resource and durable material. 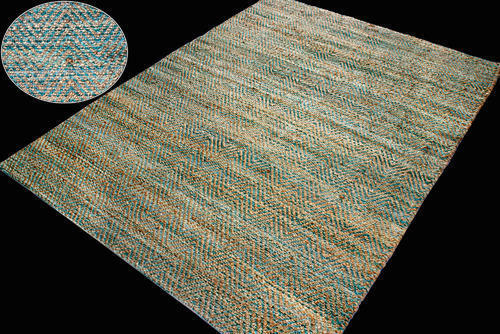 Hand made of yarn-dyed chindi and natural jute by artisan rug makers. To furnish the diverse requirements of our clients in the best possible manner we are involved in offering an extensive range of FLAT WEAVE Jute CHENILLE Rugs. These are easy to clean and are available in different designs. Our quality inspectors check them on various parameters before they are dispatched. Furthermore, these are available in market at pocket friendly prices. our jute Area Rug is expertly made from hand-woven jute fibers and will lend a sense of casual elegance and a touch of plush comfort to your space. Available in multiple rich colors, these rugs are known for their durability and will stand up to even the highest traffic areas in your home. 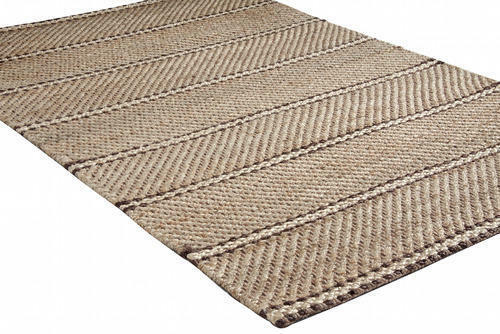 To furnish the diverse requirements of our clients in the best possible manner we are involved in offering an extensive range of FLAT WEAVE Jute Rugs. These are easy to clean and are available in different designs. Our quality inspectors check them on various parameters before they are dispatched. Furthermore, these are available in market at pocket friendly prices. 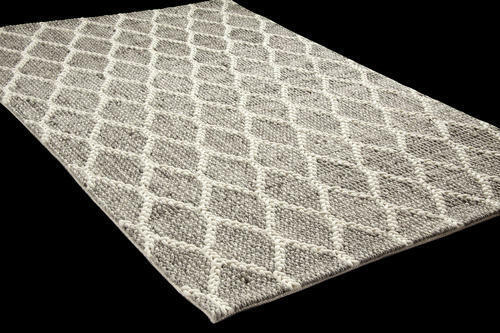 our jute chindi Area Rug is expertly made from hand-woven jute fibers .will lend a sense of casual elegance and a touch of plush comfort to your space. Available in multiple rich colors, these rugs are known for their durability and will stand up to even the highest traffic areas in your home. To furnish the diverse requirements of our clients in the best possible manner we are involved in offering an extensive range of FLAT WEAVE Jute chindi Rugs. These are easy to clean and are available in different designs. Our quality inspectors check them on various parameters before they are dispatched. Furthermore, these are available in market at pocket friendly prices. 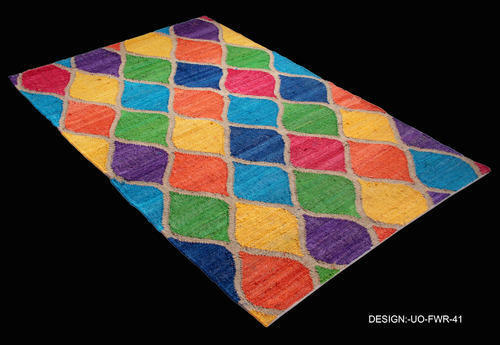 To furnish the diverse requirements of our clients in the best possible manner we are involved in offering an extensive range of FLAT WEAVE Jute SPACE DYE Rugs. These are easy to clean and are available in different designs. Our quality inspectors check them on various parameters before they are dispatched. Furthermore, these are available in market at pocket friendly prices. our jute Area Rug is expertly made from hand-woven jute fibers .will lend a sense of casual elegance and a touch of plush comfort to your space. 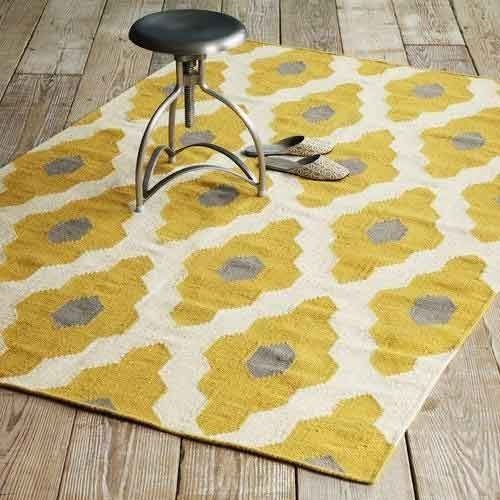 Available in multiple rich colors, these rugs are known for their durability and will stand up to even the highest traffic areas in your home. 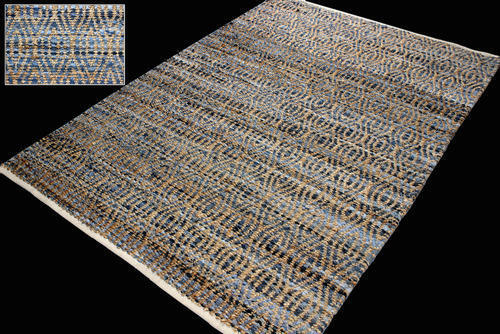 in this flat weave wool rug we have used space dyed. 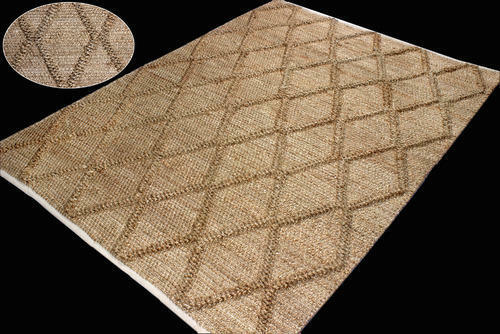 Flat weave wool rug is made in natural undyed wool JUTE yarns. Contrasting colours are created by utilizing the natural wool color of the sheep. 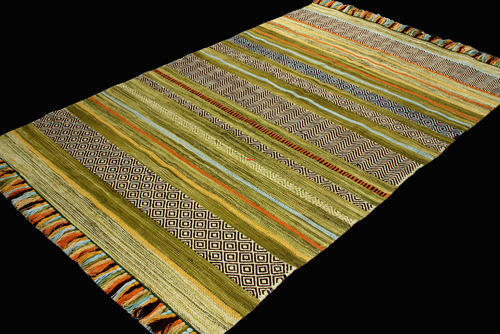 The rugs are reversible making them versatile as well as wonderfully soft and comfortable. 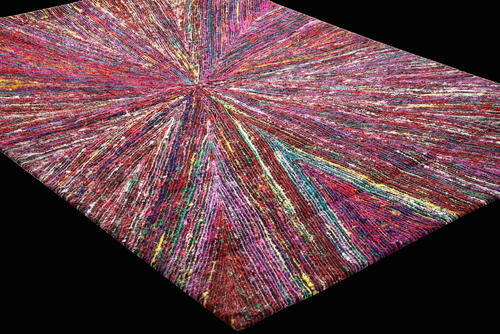 We design these carpets in such a way that it automatically enhances the surroundings of the homes. We produce numerous varieties of Jute chindi flat weave rug for generating perfection inside homes. This perfection in the long has made our name spreaded among clients and customers widely. 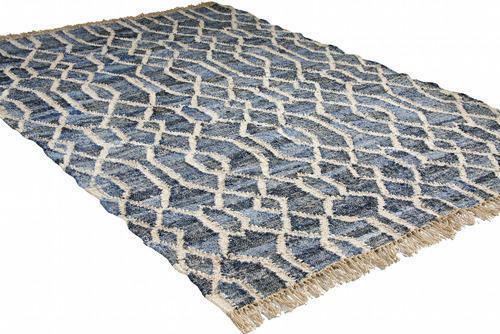 At the same time our flat weaved DENIM chindi rug are also durable and have the complete texture and finishing often demanded by people. 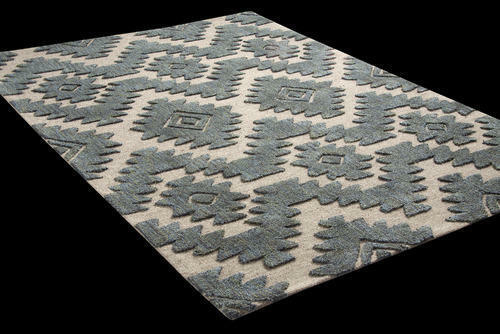 Our flat weave DENIM chindi rug production highlights some part of traditional designs those which are popular even now to give perfect matches to any home interiors. chindi is said to be one of the strongest fabrics in making innovated designs and patterns. So it is always recommended to for chindi material rugs for easy living and comfortable lifestyle. FLAT WEAVE wool VISCOSE RUGS are made by the skilled artisans who are knowledgeable and make the carpets from the New Zealand’s finely blended wool. Due to its good backing materials the overall carpet’s weight can be well handled and is also known to be anti-skid. Colors are diverse depending on people’s selections while purchasing our hand woven wool FLAT WEAVE ,loop AND cut carpets. United overseas widely known for its premium exporting and manufacturing of carpets widely and has diversified type carpets for people to choose from depending on their requirements. There is 100% good quality wool jute present in it to give a good shine in the whole carpet. Each woolen yarns are individually woven by hand to bring the most enhancing designs and appearances. Our carpets produced are of varying sizes and heavy in weight, has the ability to cover the major portions inside the house. Hand woven wool jute carpets are made by the skilled artisans who are knowledgeable and make the carpets from the New Zealand’s finely blended wool. Due to its good backing materials the overall carpet’s weight can be well handled and is also known to be anti-skid. Colors are diverse depending on people’s selections while purchasing our hand woven wool FLAT WEAVE ,loop AND cut carpets. United overseas widely known for its premium exporting and manufacturing of carpets widely and has diversified type carpets for people to choose from depending on their requirements. There is 100% good quality wool AND jute present in it to give a good shine in the whole carpet. Each woolen yarns are individually woven by hand to bring the most enhancing designs and appearances. Our carpets produced are of varying sizes and heavy in weight, has the ability to cover the major portions inside the house. 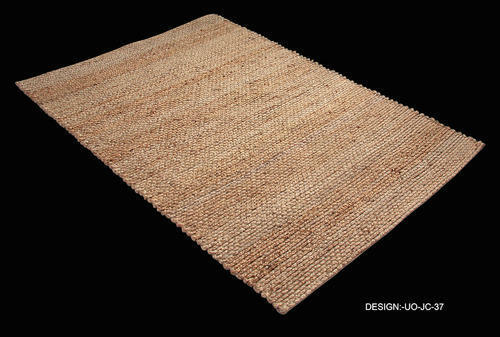 UNITED OVERSEAS is universally known for manufacturing and exporting the Flatweave Durriesmade of finer jute fibers. These flat weave jute denim carpets are contemporary in designs and patterns due to maximum graded fabrIC and raw materials used. Our fabrics and raw materials are served to us by the reliable vendors and that is what makes the carpets look so pure and natural. We are highly acclaimed in the market because of such flat weave Jute Denim carpets. 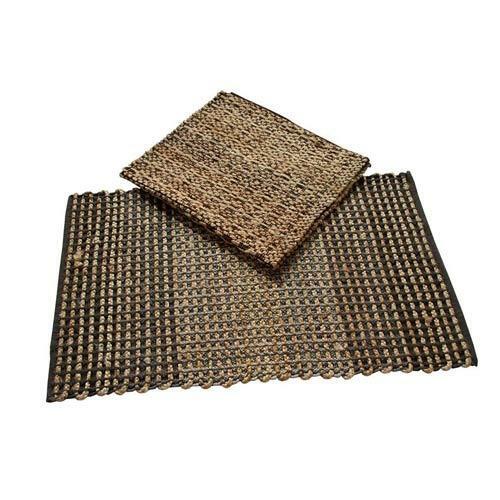 UNITED OVERSEAS is universally known for manufacturing and exporting the Flatweave Durries made of finer jute fibers. These flat weave jute denim carpets are contemporary in designs and patterns due to maximum graded fabrIC and raw materials used. Our fabrics and raw materials are served to us by the reliable vendors and that is what makes the carpets look so pure and natural. We are highly acclaimed in the market because of such flat weave Jute Denim carpets. UNITED OVERSEAS is universally known for manufacturing and exporting the Flatweave Durries made of finer jute and chindi fibers. These flat weave jute chindi carpets are contemporary in designs and patterns due to maximum graded fabrIC and raw materials used. Our fabrics and raw materials are served to us by the reliable vendors and that is what makes the carpets look so pure and natural. 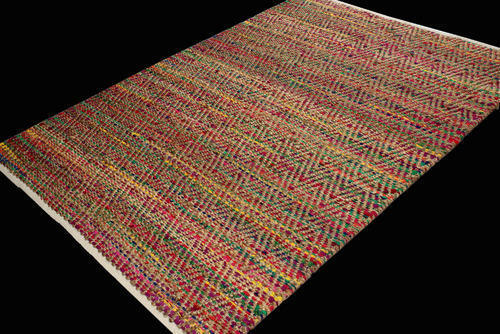 We are highly acclaimed in the market because of such flat weave Jute chindi carpets. We design these carpets in such a way that it automatically enhances the surroundings of the homes. We produce numerous varieties of Jute chindi flat weave carpets for generating perfection inside homes. This perfection in the long run has made our name spreaded among clients and customers widely. At the same time our flat weaved jute carpets are also durable and have the complete texture and finishing often demanded by people. Our flat weave jute chindi carpets production highlights some part of traditional designs those which are popular even now to give perfect matches to any home interiors. Jute is said to be one of the strongest fabrics in making innovated designs and patterns. So it is always recommended to for jute material carpets for easy living and comfortable lifestyle. united overseas is universally known for manufacturing and exporting the Flatweave jute Durries made of finer jute fibers. These flat weave jute carpets are contemporary in designs and patterns due to maximum graded fabrics and raw materials used. Our fabrics and raw materials are served to us by the reliable vendors and that is what makes the carpets look so pure and natural. We are highly acclaimed in the market because of such flat weave Jute carpets. 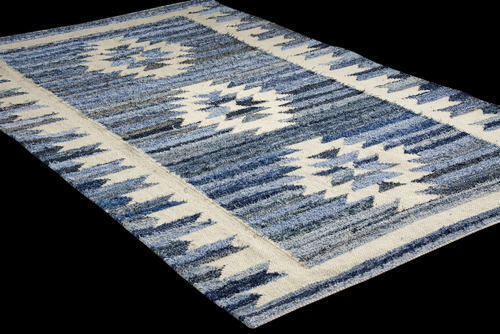 Looking for “Flat Weave Rugs”?